​Mark has been in the computer-industry for over 40 years including experience with Control Data, Prime Computer, and Prudential Property and Casualty Insurance Company. Mark recognized the need to prevent network attacks, ensure communication privacy, and maximize uptime in response to exploding internet access. Angel believes in respect, loyalty, trust, honesty, integrity, and friendship with our customers. Angel runs toward our customer's problems, not away, always working together to resolve them. Angel always meets and exceeds our customer's expectations. Angel has hand-on commitment, meeting with our customers to understand their business. ​​At the end of the 20th century, internet access exploded across the nation connecting people and business like never before. Mark Halen knew that these connections needed to be protected. 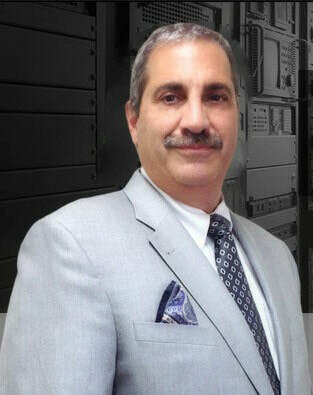 In the spring of 1998, Mark founded Angel Computer network Services, Inc., headquartered in New Jersey, to help build a secure and connected future. ​​​Angel has a total focus and commitment to a single goal: minimizing the complexity and maximizing the efficiency of our client's network infrastructures. The demand for secure, cost-effective, high-performance connectivity is greater than ever. Preventing network attacks, ensuring privacy, and maintaining 100% up-time is paramount. ​The Angel team boasts technology rich backgrounds and expertise of leading products. As a top-tier solution provider with many premier technology manufacturers, Angel offers "best of breed," complete, competitive solutions. More than just a reseller, Angel's Technical Guardians are available to offer ongoing advice, training, and support for all of our clients.